A set of principles in Good Corporate Governance is significant factor to materialize the vision and mission of Apexindo as a national drilling contractor with uncompromising service quality. 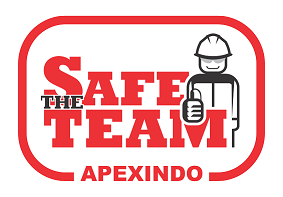 The highest standard of Transparency, Accountability, Responsibility, Independency, and Reasonability penetrates into the work culture of management as well as employees of Apexindo. As a publicly listed company, Apexindo highly believes implementation of GCG should strongly be sustained to enhance the incredible performance and undoubted reputation among stakeholders. Ethical and responsible behavior is the significant factor that contributes in achieving business expectations and objectives as well as Apexindo’s vision and mission. This is an obvious base for Apexindo to publish a book of Code of Conduct. Such book is distributed to all employees during induction session. All employees are obliged to obey and abide the Code of Conduct at any time in order to maintain Company’s positive image and reputation. Nurturing and maintaining a good business relationship to deliver positive benefits for society and environment have become our consistent concern. Throughout the years of its operation, Apexindo has been implementing within many aspects, such as education, religious activities, social, and environment. These positive contributions are dedicated as we see the importance of community support, particularly whom lives next to our area of operations. Starting in 2013, Apexindo is actively recruiting candidates originated from a number of reputable universities. This initiative enables young and energetic graduates to practical training, both in class and at rig site. Work opportunity with the Company would be the icing on the cake for successful candidate of this program. Apexindo handover 3 goats to celebrate Iedul Adha 1439 H. The Company handover the goats to Pesantren Daarul Rahman and Majlis Ta'lim Roudlotul Muta’allimat in Jakarta and Masjid Al Ikhlas in Bojonegara, Banten. Apexindo held a series of donation for orphans and poor people. Besides Jakarta, the donation was also distributed in Bekasi, Tangerang, Bojonegara, Banten adn Balikpapan. 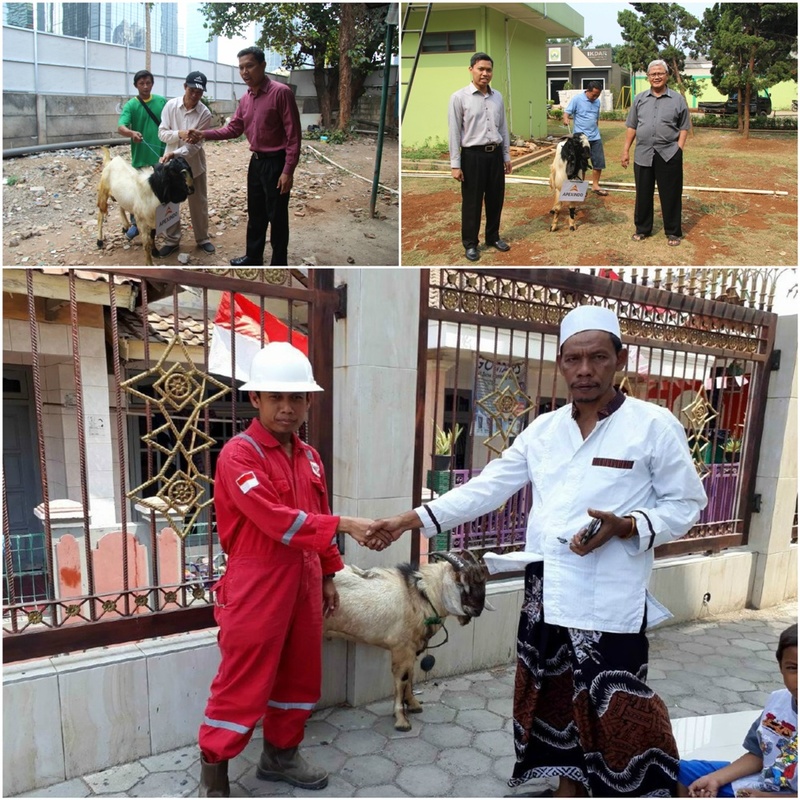 Apexindo distribute 3 goats to celebrate Iedul Adha 1438 H. The Company handover the goats to Pesantren Daarul Rahman and Majlis Ta'lim Roudlotul Muta’allimat in Jakarta and Masjid Al Ikhlas in Bojonegara, Banten. 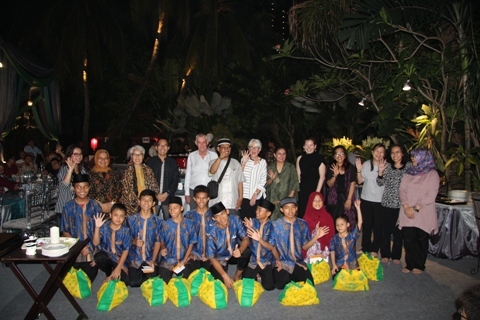 Apexindo held a series of donation for orphans and poor people. Besides Jakarta, the donation was also distributed in Depok, Tangerang and Bojonegara, Banten. 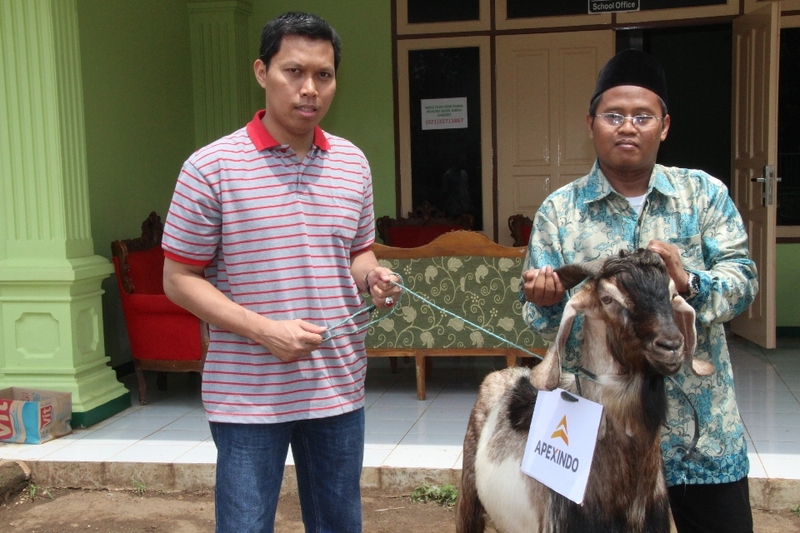 Apexindo handover a goat to Daarul Rahman boarding school to celebrate Iedul Adha 1437 H.